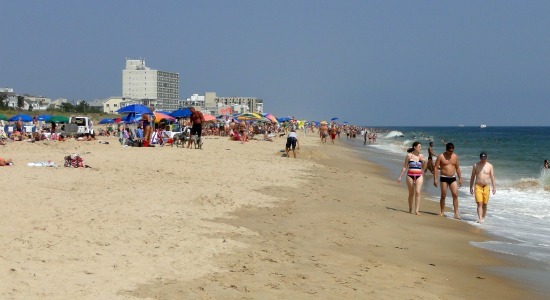 This weekend I spent four days in Rehoboth Beach, Delaware partying, drinking, eating, taking in the sand, sun and ocean. My friend Donn from Maryland invited me to join him and his housemates at the beach and stay in their beautiful beach house There was a total of six of us staying in the house. On Friday I made the six hour drive from home to Donn and Tim's house in New Market, Maryland. From there I rode with Donn in his car for the three and a half hour drive to the beach. We arrived after dark but just in time to start hitting the bars. Saturday started with eggs in a basket for breakfast and soon we were off the the beach. I had been to the Atlantic before at Coney Island, New York. But this was my first time to swim in the ocean. I thought the 69 degree water was a little chilly, but the beach regulars felt it was just right. We were at the beach from 10:00 to 2:00. While at the beach I walked up the boardwalk to the downtown area where I indulged in some fries from Thrashers. We headed back to the house at 345 Hickman Street for the 3:45 Cosmos. There were guests invited to the house for drinks and hor devours. Later we had dinner and another night of bar hopping. In the middle of the night I had the delightful experience of a outdoor shower under the stars. On Sunday the weather was a bit cooler but that did slow us down a bit. We followed the same routine as Saturday; breakfast, beach, Cosmos, dinner and bars. For dinner Donn and I ate at Cloud 9. The food was amazing. We also did some shopping around the wide variety of stores in downtown Rehoboth Beach. We also took time to a beer at The Greene Turtle on their balcony overlooking the boardwalk, beach and ocean. Monday started with a walk around town and along the boardwalk, some shopping and lunch at Arena's Deli. In the afternoon we drove back to New Market and then I drove myself home this evening. Thank you Donn for a unforgettable weekend. 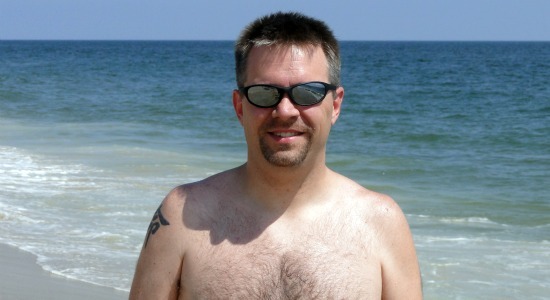 Click here to see all of my pictures from my weekend at Rehoboth Beach.